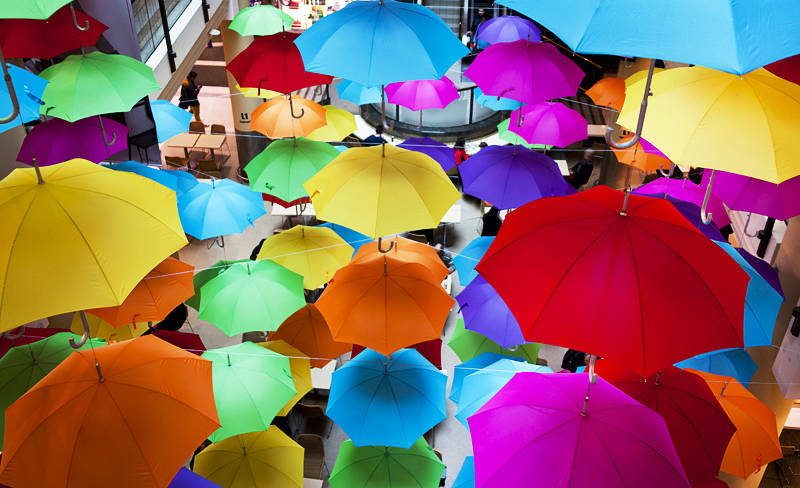 These colourful umbrellas were inside a building in Melbourne, Australia. My camera struggled to guess the white balance as there was very little neutral grey to calibrate with. One of the benefits of shooting in RAW is you can set the colour temperature after you take the photo. In this case I could remove the blue/green tint by increasing the red/magenta in CameraRAW. No Photoshop needed.